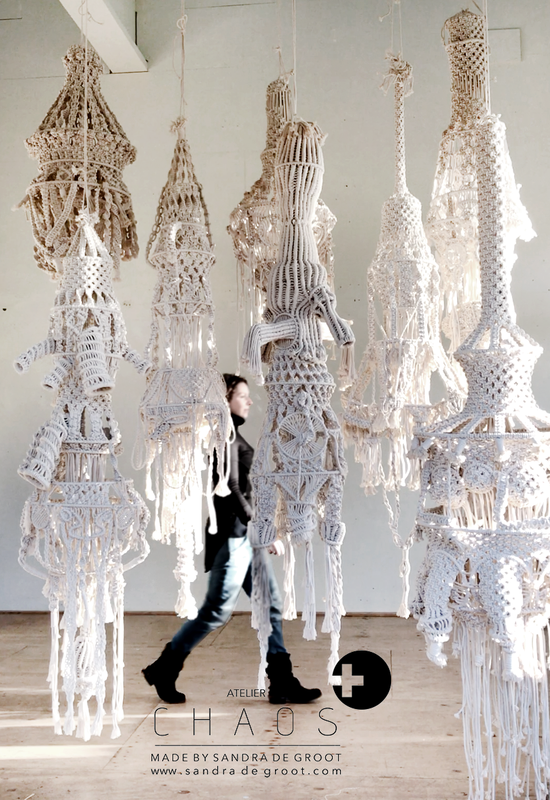 Sandra is currently creating a collection of TEXTILE | kNOTs, exploring craft, technique and strategy in both cultural and architectural ways. Sandra executes her own designs. Each sculpture is knotted by hand and during that process contemporary innovation is generated. 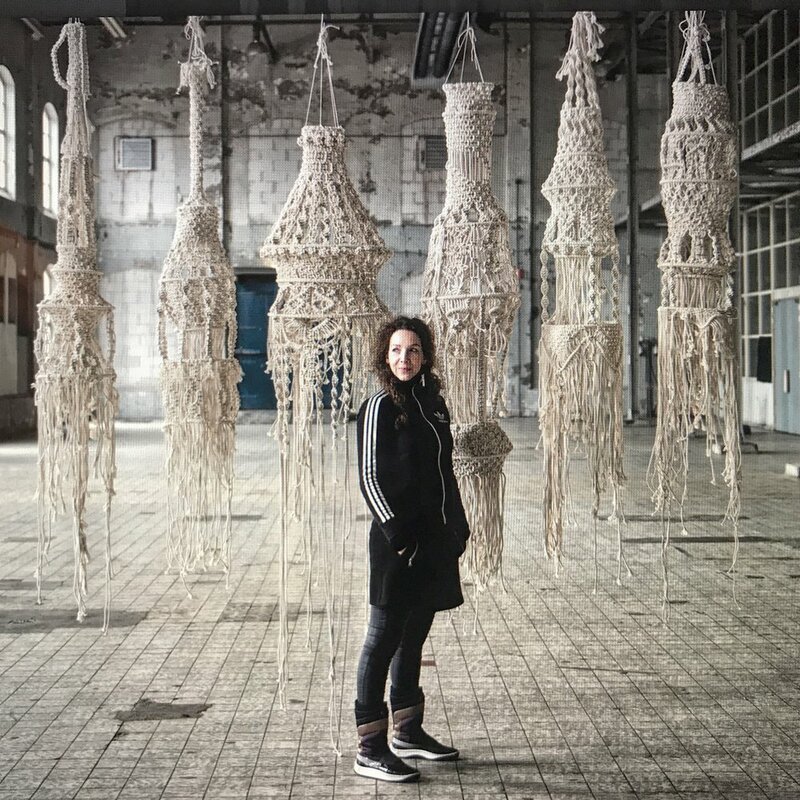 With her kNOTs installations, it is Sandra’s goal to heighten awareness by actually confronting te viewer with large quantities of knots and ropes. This raises questions about time, technique, intensiveness and intensity. And it creates the opportunity for a transparant dialogue between object, viewer and inventor / maker.